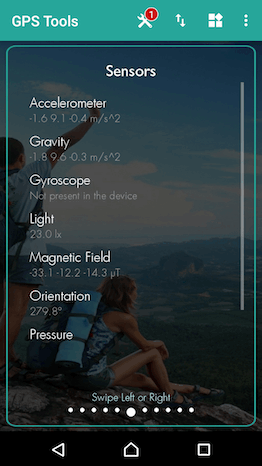 Have you ever needed all GPS based tools in one app? 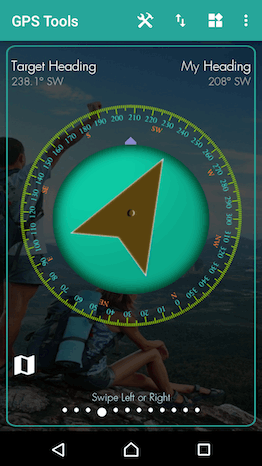 et GPS Tools, all-in-one GPS app which includes location tagging, speedometer, altimeter, compass directions, gps alarm, weather & forecast, distance, level meter, area finder, gps time, gpx importer/viewer, hiking maps, and more. GPS Address Locator is able to give you this information in very simple way. Just start the application. No need to browse menus or switch to different screens. Sharing your position is done with just one click on a button. Just all of the air quality information you want, in one place. Welcome to the first and only app to provide real-time and forecast air pollution around the world. You will love this app once you have downloaded because of its excellent features. 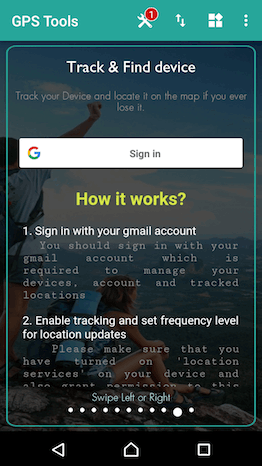 Track your Device and locate it on the map if you ever lost it. 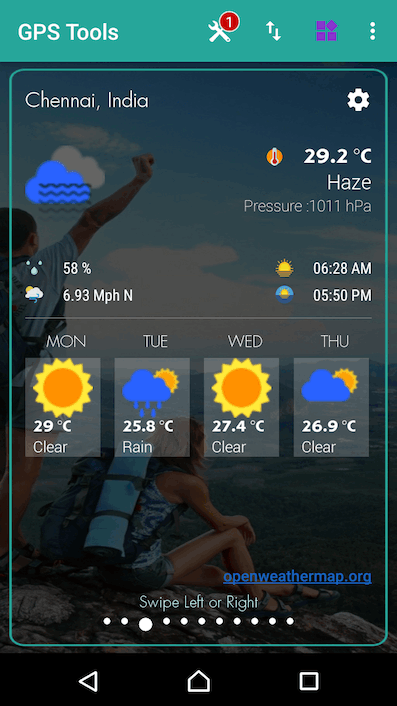 Shows animated weather details such as Clouds,Temperature,Snow,Rain,Wind,Pressure. It warns of weather dangers like cyclones, tornadoes, thunderstorms, hail, heavy rain, snow, freeze, slipperiness, heat, heavy wind, fog, flood or marine warnings. 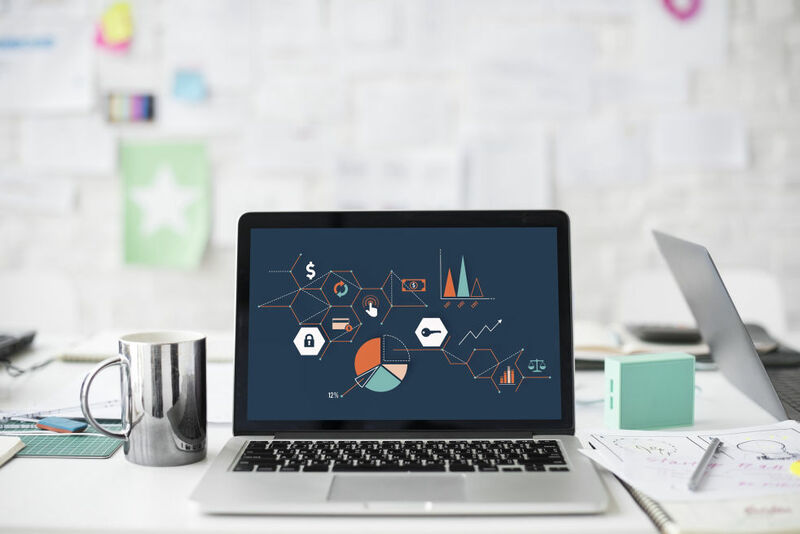 Set your destination on map and get notified on or before you reach.Do your work without worrying about missing the destination place while you travel. This feature let you import gpx files.view the trip details and save it in the app. 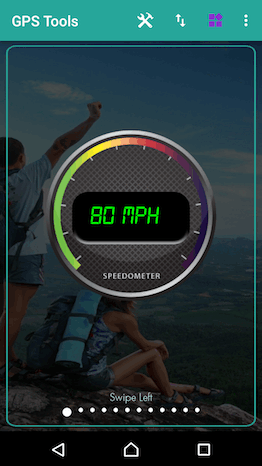 you can see all the details of your trips including speed,elevation changes,etc. You can share your gpx files publicly and make others to useit.Also you can download files of others and view. 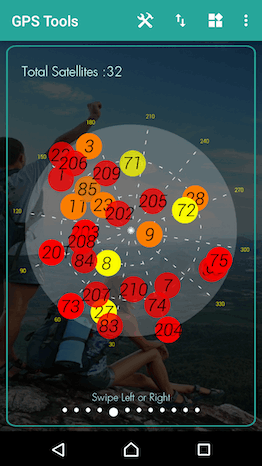 Select ant two locations on the map and find driving distance between them. 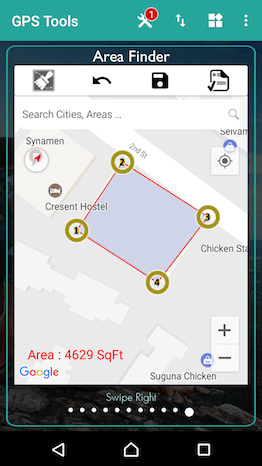 Select the corner coordinates of your building/area and find the area of the selected region. 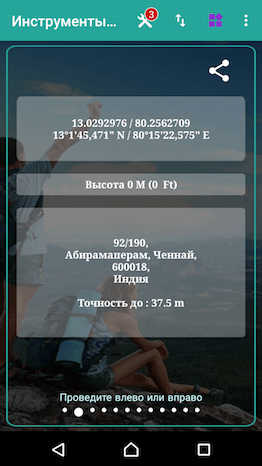 Select any location on the map and find altitude. Use in hiking, climbing and skiing and view top peaks. Align your satellite dish with satellite number and signal strength. Select any satellite from the list and see its current location in the sky in real time or track satellite live orbiting the Earth. Level meter is usually used in construction, carpentry and photography to determine if objects on which you're working on are level. Used properly, a bubble level can help you create flawlessly leveled pieces of furniture, help you when hanging paintings or other items on the wall, level billiard table, level table tennis table, set up a tripod for photographs, level your trailer or camper and much more. It’s a must have device for any home or apartment. Add your favourite locations here and access them quickly whenever you need. 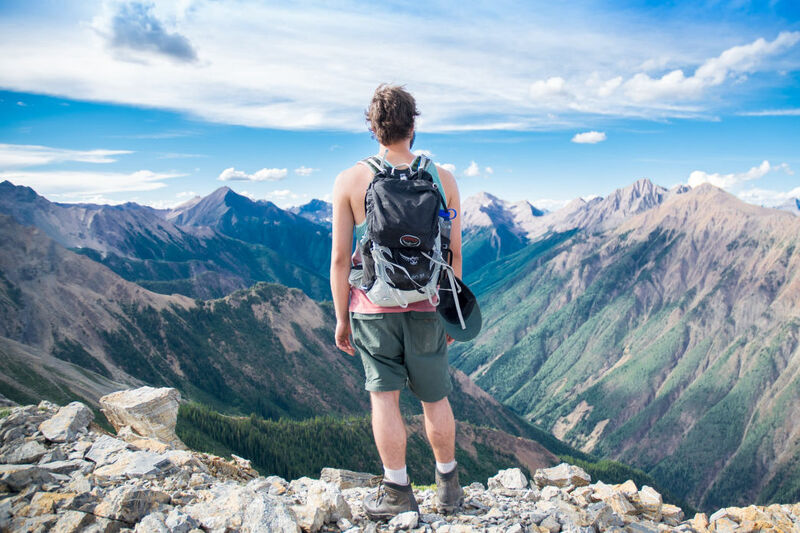 Going outdoor, trekking or visiting new places?